CIOs are under enormous pressure to align their technologies with the organization’s business strategies so that it contributes more value, advances business objectives and drives revenues. 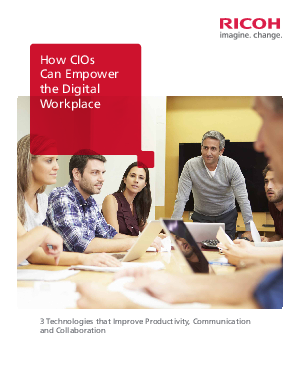 In the quest for more productive, digital workplaces, this e-book shows new ways that CIOs can use their technology to improve employee communication and collaboration. Plus, you can see how one consulting firm made its employees more productive by streamlining the scheduling and booking of its meeting rooms.